[Source: AnimeNewsNetwork] Manga creator Izumi Matsumoto revealed on his blog on Saturday that he had a relapse of cerebrospinal fluid hypovolemia (depleted cerebrospinal fluid) at the end of April and was bedridden for three months. Matsumoto began hospital treatment for the condition on Monday. Matsumoto said that during the several months of treatment he will not be answering messages on his PC or smartphone. According to Matsumoto, the light from screens makes the illness worse. Someone else will check his messages and, if there is mail related to work, he will respond via phone. Matsumoto previously gave up drawing manga in 1999 due to the same illness, but did not receive the right diagnosis until 2004. He returned to work in fall 2005 after treatment. 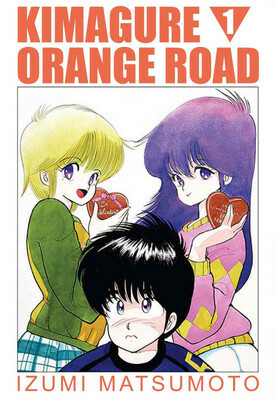 Matsumoto's Kimagure Orange Road manga series ran in Shueisha 's Weekly Shonen Jump magazine from 1984 to 1987. The 18-volume story followed a boy with supernatural powers as he dealt with a love triangle between two girls in his high school. Digital Manga Inc. successfully ran a Kickstarter campaign earlier this year to re-translate and publish the manga into English. The manga inspired a popular 1987-1988 television anime series, two movies, and various anime videos. AnimEigo released the television anime series, the first movie, and the later video anime series, while ADV Films handled the second movie, Kimagure Orange Road: Summer's Beginning .